When our organism becomes ill, suffers inflammation, physical exertion, incorrect lifestyles, or during certain periods in our life (menopause, aging), a situation of stress takes over. 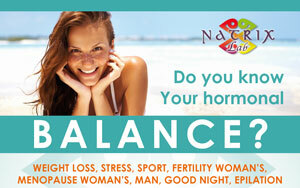 This can lead to imbalanced hormone production, which alters all the other balances and main body functions. NatrixLab Hormonal Profiles provide fundamental information to identify these imbalances, and to give specific advice to reinstate our hormonal balance. Basic slimming profile: for anyone who wants to lose weight but cannot manage it even though they eat very little. 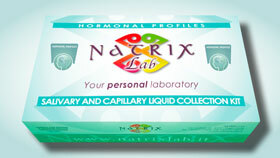 Tested parameters: insulin, cortisol, DHEA, leptin, TSH, testosterone, progesterone, estradiol. Stress profile: for anyone who leads a hectic life, or incorrect or disorderly lifestyle, who suffers from anxiety attacks, who shows signs of skin aging. Sport-basic profile: for people who practice sport at amateur, professional or competition level, in particular to avoid the risk of or to monitor overtraining. Tested parameters: cortisol and basic testosterone, after 30 and 150 minutes training, DHEA. Fertile woman profile: recommended in the case of premenstrual syndrome, drop in libido, hair growth in typical male zones, irritability, depression. Tested parameters: estradiol and progesterone in follicular, ovarian and luteal phase, testosterone. Menopause woman profile: recommended in the case of hot flushes, sudden sweating, sleep disorders, weight increase, pressure increase, altered voice tone, drop in libido, hair growth in typical male zones, irritability, depression. Tested parameters: estradiol, progesterone, testosterone, androstenedione. Male profile: recommended in cases of weight increase, drop in libido, sudden sweating, pressure increase, depression, tiredness, anxiety attacks and irritability. Goodnight profile: recommended in cases of problem in sleeping, insomnia, strong mental-physical stress, anxiety, depression, memory problems. Tested parameters: cortisol, melatonin, DHEA. 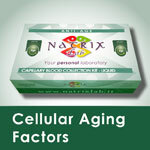 The test is performed by analysing a saliva and blood sample, and can be requested in analysis laboratories, medical centres, health spas and pharmacies that offer NatrixLab diagnosis services. Preparing for the test: fill the salivary test tubes, having in mind that it’s not recommended to eat, drink or wash your teeth in the two hours before the sampling. For sampling collecting hours and for special profiles, that need eight hours fasting, refer to the instruction manual of the diagnostic kit. 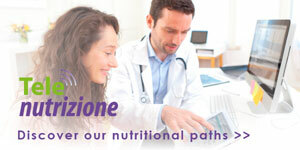 A specific diet combined with medication, if necessary and prescribed by a specialist, can form effective treatment to rebalance hormonal secretions in order to relieve or improve the related symptoms. 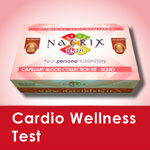 We recommend repeating the test after 3-6 months. To monitor treatment or a pathology, we recommend repeating the test according to your doctor’s instructions. Klok MD1, Jakobsdottir S, Drent ML. The role of leptin and ghrelin in the regulation of food intake and body weight in humans: a review. Obes Rev. 2007 Jan;8(1):21-34. Mariana G. Figueiro, Barbara Plitnick, and Mark S. Rea. Light Modulates Leptin and Ghrelin in Sleep-Restricted Adults. International Journal of Endocrinology. Volume 2012 (2012), Article ID 530726, 6 pages. Ricardo Borges MD, Paulo Temido MD, Luís Sousa MD, Paulo Azinhais MD, Paulo Conceição MD, Bruno Pereira MD. Metabolic syndrome and sexual (dys)function. The Journal of Sexual Medicine. Volume 6, Issue 11, pages 2958-2975, November 2009.